For soon-to-be grooms, picking out their wedding attire can be a tricky affair. While it is important to ensure the limelight stays on the bride, it is equally crucial to remember that you need to look spruced-up as well. To add to the attire confusion, everyone in your family will have their say in what you should be wearing on your big day. Obviously, you would want to get it right as such special days come once in a lifetime. And with a little effort you can get there. Mentioned ahead are a few pointers that can help would-be grooms cut a dapper figure on their wedding day. A good fit is like the soul of an outfit. Without it, even the most attractive attire can look lackluster. When it comes to dressing formally, it is suggested that you go for tailored mens suits as only a skilled tailor will be able to get your measurements right. It is extremely rare that off-the-rack suits will fit perfectly. Whether it lengthening a sleeve, hemming the pants, or altering the jacket, a talented tailor can make a suit fit you to a T.
Want to look smart in your wedding attire? Then dress according to your body type. Most suits and tuxedos look good on tall and slim men. But, if you’re skinny, you will need to add bulk with a double-breasted suit as it will make your shoulders and chest look broader. To create a slimming effect, go for a fitted, dark-colored suit with the small nip at the waist to give the impression of a leaner silhouette. 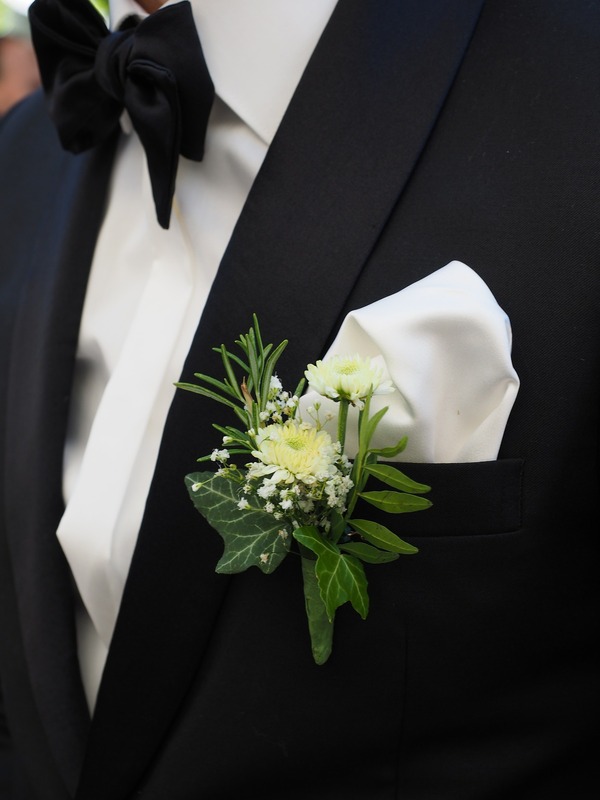 Shorter grooms will do well by donning a two or three-button jacket with a low-button stance to add length to their frame. If you think that woolen suits are the final frontier in men’s formal wear, think again! While they are still a classic, there are several other options you can go for, depending on the season. Who can forget the velvet suit sported by Ryan Reynolds at the Met Gala 2014? Apart from that, you could also try flannel suits, or textured and linen tuxes. While the classic black suit is the safest option for formal occasions, you may also want to consider a navy suit. Under lights, a midnight blue suit can look almost black, whereas a black one can appear gray. 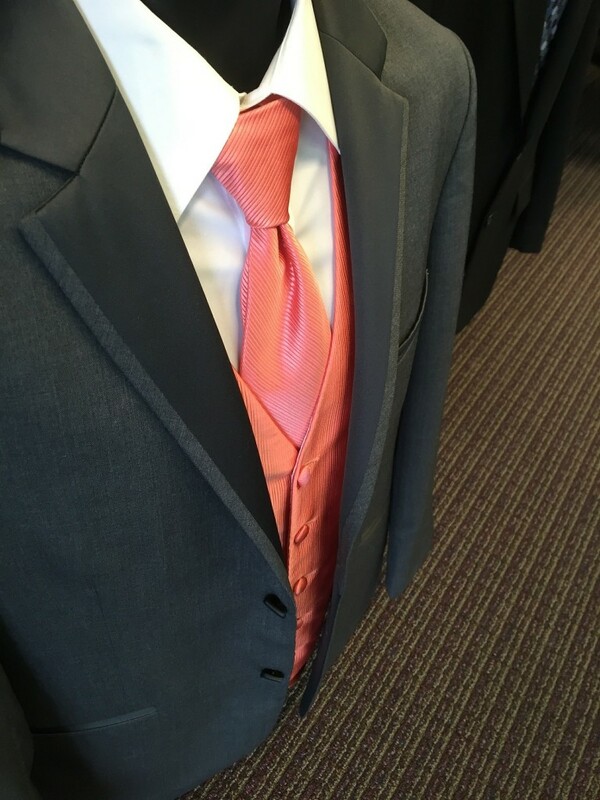 Another excellent option to consider is a charcoal gray suit. If you’re going for a white dinner jacket, be careful how you match it with the other elements of your attire. Whatever color suit you choose to wear, make sure that it doesn’t clash against the color of the bride’s dress. If you want to get a tad adventurous, think beyond the conventional boutonniere and add a personal touch to your ensemble by incorporating subtle metallic leather and even feathers in antique or heirloom pins. When it comes to traditional formal wear, nothing comes close to a white tie and a black tailcoat, trousers with braid or trim, white waistcoat (often piqué), and shirt with studs and cufflinks, and bow tie. Don’t forget an elegant gold or platinum pocket watch to amp up the old-world charm. Dressing for the wedding day need not be puzzling for would-be-grooms anymore. Keep the above tips in mind and dress accordingly to ensure that you turn out looking debonair on one of the biggest milestones of your life!